On Saturday, July 21st the Indian River County Sheriff’s Office received a call from friends worried about Mary Cussen (75), of Vero Beach. Friends had not heard from her for several days, she did not answer her phone, and mail had accumulated at her residence. They advised that Mrs. Cussen’s husband had recently passed away and they were worried about her. A check of local hospitals revealed that she had been in their facility in the past, but was not currently being treated. Deputies responded to her home and could see blood inside of the residence through a window. Deputies made the decision to enter the residence by breaking a rear window of the home. Once inside, they discovered that she was not there. Subsequent follow up revealed that Mrs. Cussen was being treated at a local medical facility. Indian River County Sheriff’s Sergeant Christian Mathisen was on scene when the window was broken and assured Mrs. Cussen that it would be taken care of. He contacted HBS Glass to obtain a quote to repair the broken window. 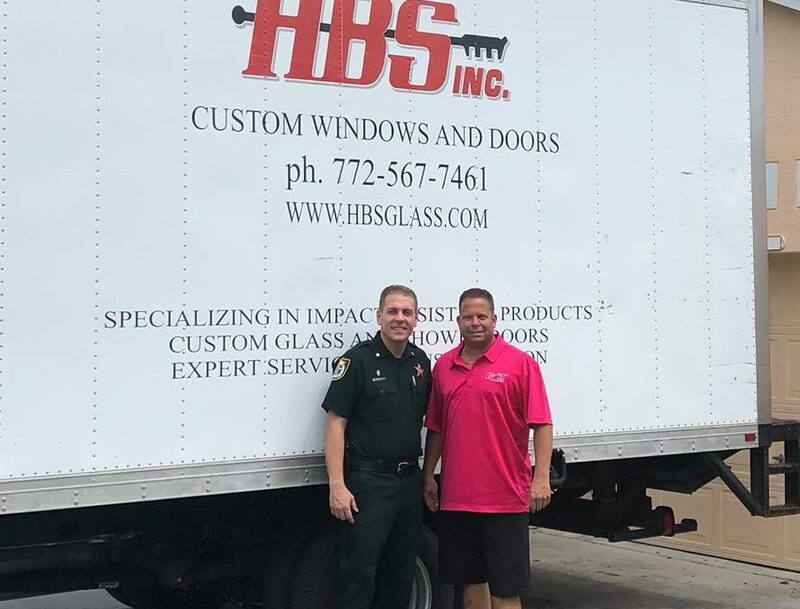 Upon hearing the story, HBS Glass immediately stepped up to replace the window at no cost to Mrs. Cussen or the Indian River County Sheriff’s Office. The window was replaced within hours. Indian River County Sheriff Deryl Loar stated, “We want to thank HBS Glass for their commitment to community service. Due to health concerns and the recent passing of her husband, Mrs. Cusson would not have been able to accomplish this window replacement on her own. We are proud to partner with businesses such as HBS Glass to help ensure the safety and security of our residents.” Although HBS Glass did not expect any recognition for their generous act, Mrs. Cusson wanted to express her thanks to both HBS Manager Rob Vaccaro and Sergeant Christian Mathisen for their efforts. Choosing the correct window and door products for your new home has now taken on a much greater significance. If you purchase windows and doors that don’t meet code requirements in regard to product performance or their installation, you will be required to tear them out and start over. This means ensuring you and your architect, designer, and contractor have all considered all the new requirements and chosen the options that you can afford. H.B.S. is an industry leader in this type of building code compliance, serving the needs of Palm Beach County where very similar codes have existed for quite some time. Weather Shield® Premium Windows & Doors would like to extend our congratulations to H.B.S., Inc. on their 2007 Dealer of the Year Award for Focused Excellence in Installation as granted by Window & Door Magazine. The magazine considers nominees from across the country. Founded in 1973, H.B.S., Inc. is one of the largest full service window and door distributors on the southeast coast of Florida. It specializes in the distribution and installation of premium window, door and glass products, particularly the highly technical impact-resistant products. In the visually appealing and culturally sophisticated Indian River County area in Florida, where high-end homes from 5,000 square feet on up dot the pristine sands that separate residential paradise from the Atlantic Ocean, competition is fierce for window dealers. To survive, they must cater to the elite with architecturally accurate products that perform and appear on the cutting edge of modern design. To thrive, they must find their niche. For H.B.S. Inc., that niche is clearly defined by the exceptional service they provide for their customers before, during and after the sale. For a company that’s founding purpose was to produce window screens and repair broken glass with only two employees in its fold, H.B.S. Inc. has come a long way. Bought by a retired New York City police officer named John L. Barrie in 1976, H.B.S. Inc. grew gradually and incorporated high-end residential window and door products into its selection. By the late 1980’s, the company had evolved into an elite custom window and door specialist, committed to exceeding its customers’ expectations at any cost. H.B.S. services and delivers to all areas in and around the Treasure Coast and Palm beaches. The company has 40 employees, including a team of full-time installation professionals. “We consider it critical to avoid subcontracting,” says Ray Reinhard, vice president/engineer for H.B.S. “Hourly pay ensures that our installers are taking the time needed to do the job correctly. John Barrie and his team at H.B.S. recognized early on that the window and door industry was becoming a highly technical and specialized field, particularly in areas that are prone to hurricanes. As a result, H.B.S. began to specialize in the distribution and installation of premium window and door products by manufacturers like Weather Shield, PGT and CGI, leaving the sales of other types of building materials to the more general home building supply companies. As the company’s resident engineer, Reinhard brings a wealth of structural understanding and technical expertise to the job. “My engineering background is a value added service for our customers,” he explains. “In the world of high-end custom home building, each window design is an original, so we get a lot of requests for unconventional applications. I’m often tasked with figuring out how pieces from various systems can work together to create aesthetically distinct windows and doors for these unique applications, without sacrificing the performance or integrity of the original units. “Additionally, the fact that I understand things like wall structure, and whether or not we can cut into a specific concrete beam without causing a collapse, enables us to look beyond the window and door aspect of a project to better comprehend, and work together to achieve the architect’s goals,” Reinhard adds. In order to become an accountable and successful H.B.S. installer, those who aspire must first master the trade, according to H.B.S. standards, by completing the company’s apprenticeship program. To begin, candidates are assigned to a crew. Each crew is overseen by its own lead man some of whom are able to claim up to 15 years of on-the-job experience. 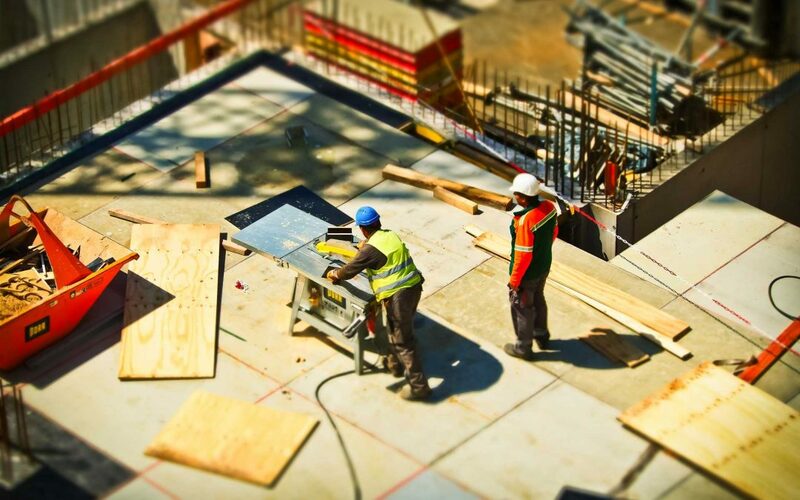 As a crew travels to various job sites, it is the lead man’s charge to train and prepare the candidate for an unspecified period of time, or, until the lead man declares the trainee is ready to stand alone. Trained H.B.S. installation professionals install more than 90 percent of the windows that they sell. “It is not unusual for a candidate to serve as a backup to a lead man for two to three years before he reaches the caliber necessary to succeed as a H.B.S. installer, and many don’t succeed at all,” Reinhard explains. “Our installers are among the highest paid installation professionals in our area, so we accept nothing short of complete and total dedication.” As a result of the apprentice program, the H.B.S. installation team has a solid and proven reputation in their market, known for their proficiency and productivity. Callbacks are rare, and there is very little turnover. The people of H.B.S. understand how to satisfy their customers, despite all obstacles. While it may sound cliché, this goal has been the driving force behind the company’s success, delivered through exceptional service with a positive attitude and, above all, accountability. For the architects who specify the high-end homes of Southeast Florida, the builders who build them and the discerning homeowners or buyers who reside there, windows and doors of the highest quality are the expectation. The people of H.B.S. know that a product’s performance quality is only as good as its installer, and that each successful installation is a positive reflection on their company. With this mentality, the H.B.S. installation team completes each job with dedicated attention to detail. “I have nothing but good things to say about H.B.S.,” says Mark Pierce, president of Pierce and Associates Architecture & Construction. “We used to install our windows and doors ourselves, but often found ourselves looking to H.B.S. for tips and technical direction. Now, we take full advantage of their installation service. From a product stand point, Reinhard and his team choose their manufacturers carefully. They look for financially responsible partners that manufacture the high-performance products that meet their customers’ demands and stand behind them with strong warranties. “Many of the homes in our market are positioned near the water, so about 90 percent of the products we install are impact rated,” Reinhard says. For the self-declared “Impact Resistant Window and Door Specialists of Southern Florida,” much of the dealer’s reputation hinges upon the performance of the products that they install. H.B.S. also takes a proactive approach to educating the consumers that enter their 2,000-square-foot showroom, particularly about the subject of hurricane preparedness as it relates to windows and doors. Sales personnel hand out flyers that explain what consumers can expect a window to do upon impact, and what questions to ask when they’re considering an impact-resistant product for purchase. Reinhard says that while H.B.S. cannot be held accountable for the weather, they can do their part to teach consumers about the various testing methods used to determine a product’s impact rating. This knowledge empowers consumers to make logical choices when purchasing a window or door. In the year 2004, Florida residents were inundated with four major hurricanes in the same year. It all seemed like a bad dream when Charlie, Frances, Ivan, and Jeanne each threw a devastating punch at the state of Florida. On the Southeast Coast of Florida—our service area—Hurricanes Frances and Jeanne put the new impact codes to the test. With wind speeds up to 145 mph and local rainfall exceeding 12 inches, the actual hurricane conditions were more severe than the new impact code requirements. The effects of the storms generated many questions from homeowners, builders, and architects. At H.B.S., Inc., we took the initiative to produce a helpful and informative piece of analysis about these events. You can only count on yourself to install your shutters! In 2004, most shutter installers had less than 24 hours to install the shutters on their “list” of customer’s homes. The bitter reality was that only a few customers were serviced before the installers were evacuated or left to take care of their own families. Make sure you have a fool-proof plan to install your shutters (even when you are absent), or simply consider using impact-rated products for your windows and doors! Your windows and doors are only as strong as the installation! 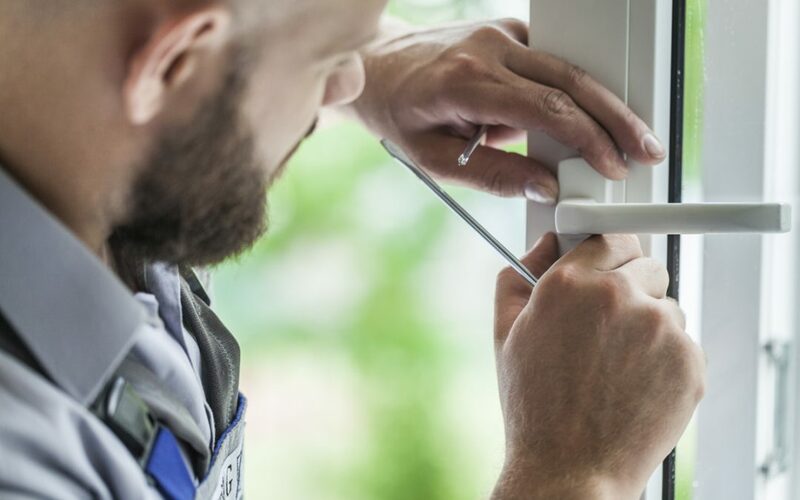 Our service crews were called out to replace many window and door products that were blown out during the hurricanes, and found that most of the products were inferior in structural strength and failed under high-pressure hurricane forces. Some products were adequately designed but failed due to improper installation. Use a quality AAMA-certified installation company like H.B.S., Inc. to insure that your products are installed as required by the approved product certifications. Acknowledge the environment you are living in, and prepare for the risk! We choose to live in Florida for this great tropical climate. But, this climate also includes hurricanes, lightning, and thunderstorms—not to mention those darn “love bugs” that stick to your car bumper. When you choose to live here, you must assume complete responsibility for the potential dangers of the environment around you. This also includes your responsibility to prepare yourself and your home for the physical effects of hurricanes and severe thunderstorms. Your preparation should begin with a thorough interview with your insurance agent to verify your coverages and limitations in a hurricane event. 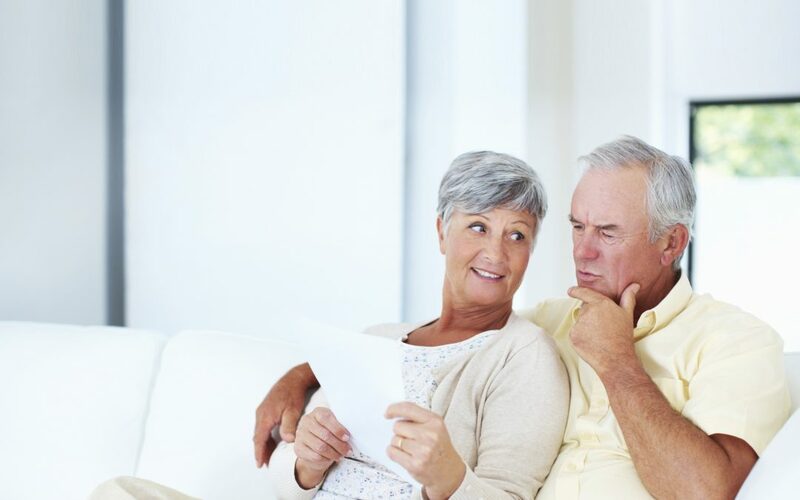 Bring a list of hypothetical questions to make sure you know the limits of your coverage. Next, take every precaution to make your home as structurally sound as possible. Make sure your home has impact protection for your glazed openings (which required by building codes for new homes). Your house is only as strong as the materials it is made with! The story of the three little pigs will suffice for general construction purposes. We will focus on windows and doors. All windows and doors are not the same. Just because a product meets the requirements of the building code doesn’t mean that it is the best product you can get. Remember, the code establishes a minimum standard of performance. The lower-cost products will generally meet this minimum standard, and rarely exceed it. The most noticeable differences are in performance and price. Naturally, the higher performance comes with a higher price tag. The old saying “you get what you pay for” comes to mind. Consult with a window and door expert like H.B.S. to find the highest performing product that will best fit your architectural style and budget. There is no such thing as a truly hurricane-proof window or shutter. The most common misconception for impact-rated products is that the products were “hurricane-proof.” The fact is that an impact rated product is tested and certified to comply with a specific performance criteria. The most recognized impact protocol is the Miami-Dade TAS 201, 202, 203 certification. Products tested to this protocol will be awarded with specific performance level certifications (known as a “Design Pressure Rating”) based on how well the products performs during the testing. Some products achieve a low design pressure rating while others push the performance levels to a new height. Choose the highest-performing product that fits your budget. You will find the return on your investment to be far greater than the cost savings of a lower-performing product. All windows and doors are tested to specific performance levels as required by AAMA/NWWDA 101/I.S. 2-97. This criteria includes structural loading, water infiltration, and air infiltration. Most people have the misconception that a window that is “140 m.p.h. rated” will also be “water-proof” in a 140 m.p.h. hurricane. Unfortunately, this is not true. The 140 m.p.h. rating converts to a maximum structural design pressure of 50 PSF. The water infiltration test is only performed at 15% of the structural design pressure. This means that a 140 m.p.h. window will meet a 7.5 PSF load for water rating. Through engineering calculations, this 7.5 PSF load equates to a maximum 54 m.p.h. wind speed. This water rating will be greatly reduced if the water application is higher than the test application rate, and of course, a hurricane will apply water at much higher volume than the tested rate. The bottom line is that your typical 140 m.p.h. window still leak water at 54 m.p.h. wind speeds or higher. Some products achieve a much higher water rating than the minimum 7.5 PSF, but, these higher performing products will never come close to being “water-proof” in a hurricane. We have been asked if a shutter will stop a window from leaking—the answer is “no!” The shutter is not a sealed gasket system. Water will penetrate through and around the shutter with ease. The pressure behind the shutter is the same as if the shutter were not even there. This pressure will convey the water to the window, and possibly through the window. The only certified function of a shutter is to protect the window from flying debris impact – not water infiltration or structural pressures. While performing emergency repairs after the hurricanes, we found a few instances where the windows were blown out behind hurricane shutters which were still in place! Consult your window and door expert to find the product with the highest design pressure rating for your project. In a hurricane, take precautions to prevent water damage near your windows and doors (and chimney flues, stove vents, etc.). Prepare your home as if you expect your windows and doors to leak during a hurricane. The most important concept you need to understand is that there is no “magical” window, door, or shutter product that can be certified to be water resistant in hurricane-force winds. Remember, your house has windows and doors–not port-holes and submarine hatches! Choose a window and door distributor that stands behind its products! After each hurricane had passed, all H.B.S. service crews went out into the community to help people secure their homes. For weeks we were using plywood to board up openings where windows and sliding doors once stood. During this depressing time we were enlightened to learn an astonishing fact. H.B.S. has been selling and installing impact-certified products since 1997. During this time we have installed literally tens of thousands of impact windows & doors. H.B.S. is very proud of the fact that we had no structural failures of impact products and their installations. Let H.B.S., Inc. supply and install all of your windows and doors to ensure that your products will perform to their maximum level! As of March 1st, 2002 every new home built along Florida’s coast has been required to meet stringent new building codes based on those already in place in South Florida. These changes have made it necessary for every architect, designer, contractor, and homeowner to consider all of these new mandatory requirements for every window and door in a home. Area building departments expect a total compliance before any dwelling can be approved for occupancy. H.B.S. is the largest distributor of Weather Shield “Lifeguard” Windows & Doors in the state of Florida. And Weather Shield has made a tremendous corporate commitment to create window and door systems that comply with the Florida “missile-impact” requirements, as well as the high-performance structural load, water infiltration, and air infiltration code requirements. Their newest addition to this “missile-impact” product line is a wood, double-hung window that meets the impact code requirement. H.B.S. offers a complete selection of window and door systems that comply with the new codes, without the need of any shutter systems, allowing homeowners to enjoy their window views all year round. Founded in 1973, H.B.S., Inc. serves an area around South Brevard County with over fifty dedicated employees, working out of our expanded, original Vero Beach location, and our warehouse/showroom in Lake Worth. If you’re ready to learn more about what H.B.S., Inc. can do for you, contact us now or give us a call at 772-567-7461.